Above Ennerdale, Lake District (Mountain Skills course). 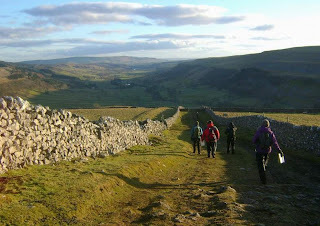 No2 Top Mere Road, above Kettlewell, Wharfedale (NNAS Navigation Skills course). 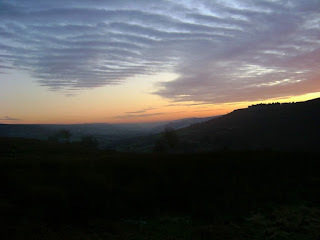 No1 Mackerel Sky over Tripsdale, North York Moors, Jan 2012. Great walks, good company and delicious Christmas lunches! A fantastic, crystal-clear day with a sharp frost. Minus 1 in the valley and minus 4 on the summit, although in the sunshine it was quite warm. Certainly the best day of 2012 for walking, and hardly anyone about. I was researching and walking the new Three Peaks route across Whitber Hill (thus avoiding the quagmire of Black Dubb Moss) for Country Walking magazine. 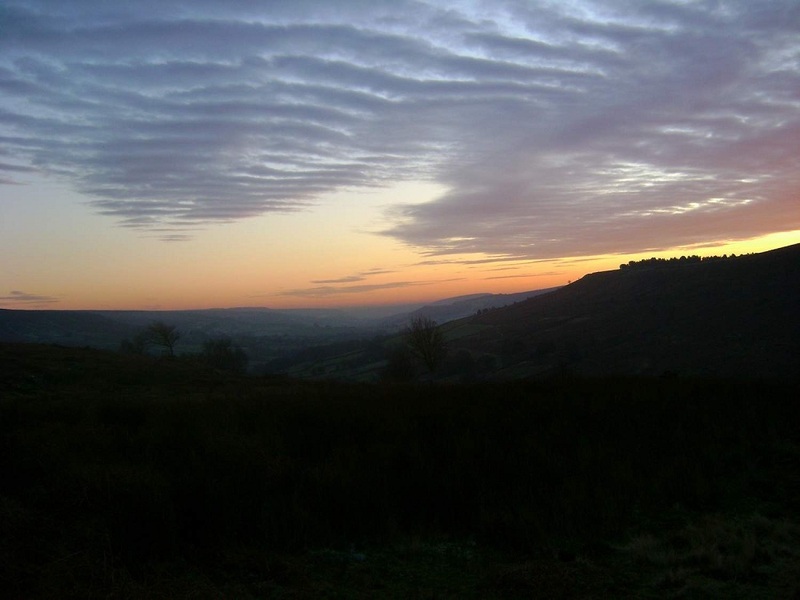 This new route starts at the top of Horton Scar Lane and heads NW across Whitber Hill, Sell Gill Beck and Sell Gill Hill to join the Pennine Way near Jackdaw Hole. The route is a delight to walk, and easy to follow as it is laid with stone chippings all the way. A walk across the fells of the Yorkshire Dales on a day like today really lifts your spirits. Horton - Brackenbottom - Pen-y-ghent south ridge - Pen-y-ghent summit - Pennine Way to Horton Scar Lane - new path across Whitber Hill - Pennine Way south along Harber Scar Lane back into Horton.